Just last week, Sony announced that it’s doing its first-ever PlayStation State of Play presentation, which sounds like the company’s version of a Nintendo Direct. Sony promises new game announcements, trailers and more for the show, and it starts now! 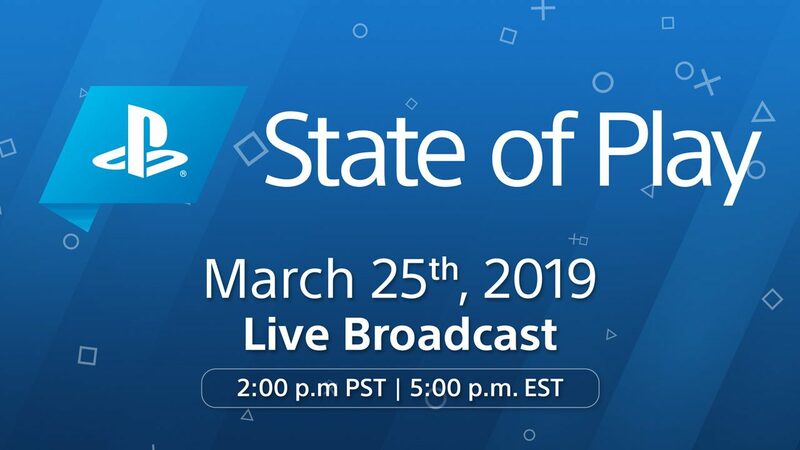 The PlayStation State of Play livestream event starts Mon, March 25th 2019 @ 2pm PT, 5pm ET, 9pm UTC. You can watch it below live! We’re hoping for new game announcements, and of course, we’re hoping for gameplay reveals, too. What are you hoping to see? Is Sony using this platform for a potential PS5 reveal later this year? Share your thoughts in the comments below.